For the most part, this past week was like most other weeks for us here in Hong Kong. School for Debbie – teaching Bible and Math to Grade 7 students at International Christian School (ICS) – Joel at work in his home office – following up on correspondence and finances after his latest trip into China. But the highlight of the week for us was turkey and Tchaikovsky. You may be wondering what these two have in common. In fact after doing a Google search on ‘Turkey & Tchaikovsky’ it seems that they’re an unlikely pair (unless you have some Tchaikovsky music for the soundtrack of your travel pictures from Turkey). But for us, they were a great reminder of God’s goodness to us this week. Over the years our family has celebrated both the Canadian and American Thanksgiving holidays. 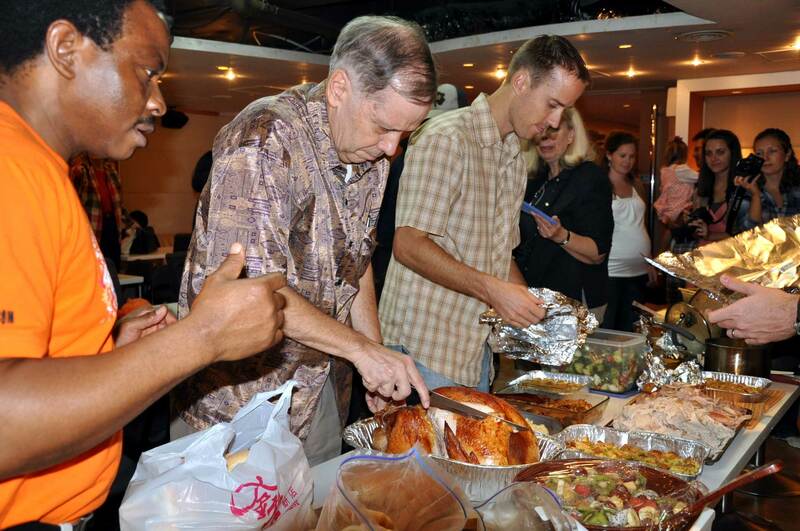 This past Thursday was our opportunity to gather with friends here in Hong Kong for Thanksgiving celebrations. Yes you read correctly – Thanksgiving celebrations – as in more than one. Our first gathering was with missionary colleagues from the C&MA here in Hong Kong. It was a smaller gathering, with 19 of us (including children) gathered in a home for some great food, and followed by a time of sharing and worshipping in song. After sampling the pumpkin and apple pie, we headed home with our leftovers before going to our next Thanksgiving celebration. This get-together was with 40+ ICS teachers and their 25 or so children. We didn’t need another full meal – so we found a few things in the buffet line we could nibble on as we chatted with these colleagues of Debbie. By the end of the evening, we returned home sated with our day of good food and fellowship with friends. Debbie had Friday off from teaching, so we did some final re-arranging in our apartment in anticipation of the arrival of Ryan & Janelle for the Christmas holidays. But our day ended with a bang – literally. One of our C&MA friends here in Hong Kong, Stewart Stemple had provided us and our other C&MA colleagues with VIP tickets to attend an outdoor concert by the Hong Kong Philharmonic Orchestra. I know that for those of you in Canada and the USA this past week that were dealing with snow and blizzard-like conditions, the thought of attending an outdoor concert in November doesn’t sound to appealing. The temperature in Hong Kong this past week was much more moderate – daytime high of 24 C / 75 F, with a nighttime low down around 18 C / 64 F – which made for a very enjoyable evening outside. 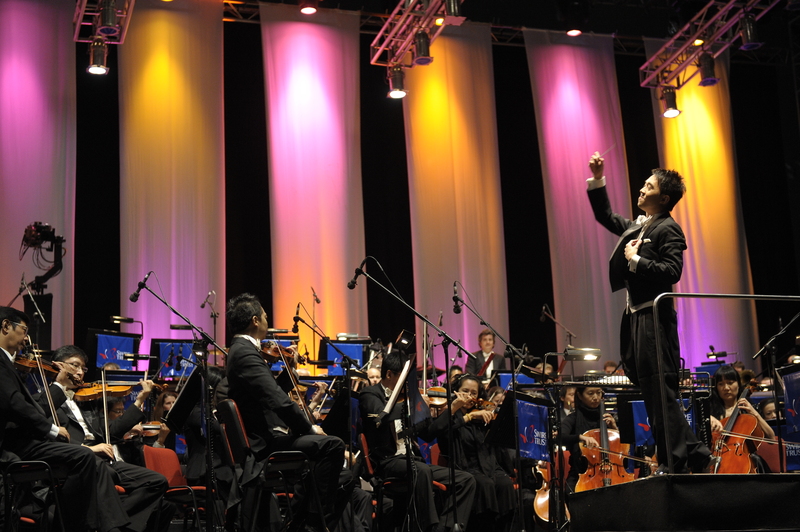 The two hour long concert featured an Israeli-Russian pianist, and the majority of the music played by the orchestra was by Russian composers. Which brings us to Tchaikovsky. Tchaikovsky. This well known piece of music is best known for its climactic volley of cannon fire and ringing chimes. When the conductor told the audience that we were in for a surprise at the end of the piece, we didn’t know what to expect. 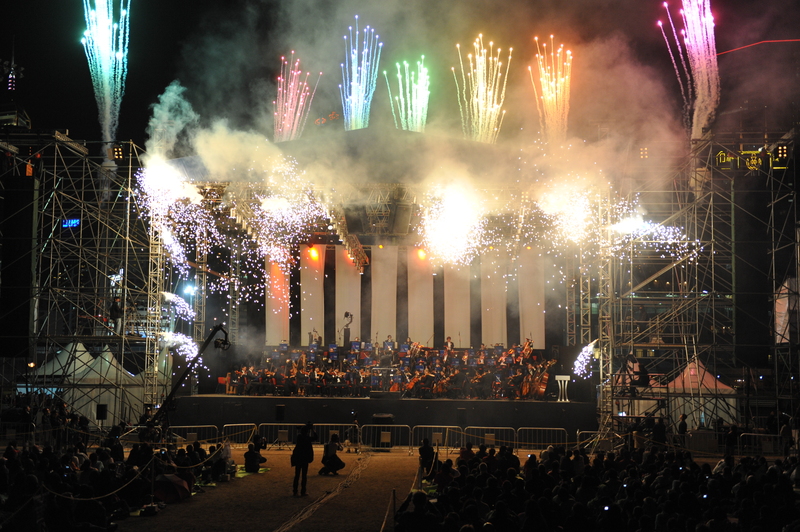 What we got was fireworks to accompany the orchestra for a spectacular visual and audio ending to the concert! It was a wonderful way to end our two day Thanksgiving celebration. So what’s the fuss about turkey and Tchaikovsky – about Thanksgiving meals and outdoor concerts? For some, both of these events could seem common place. 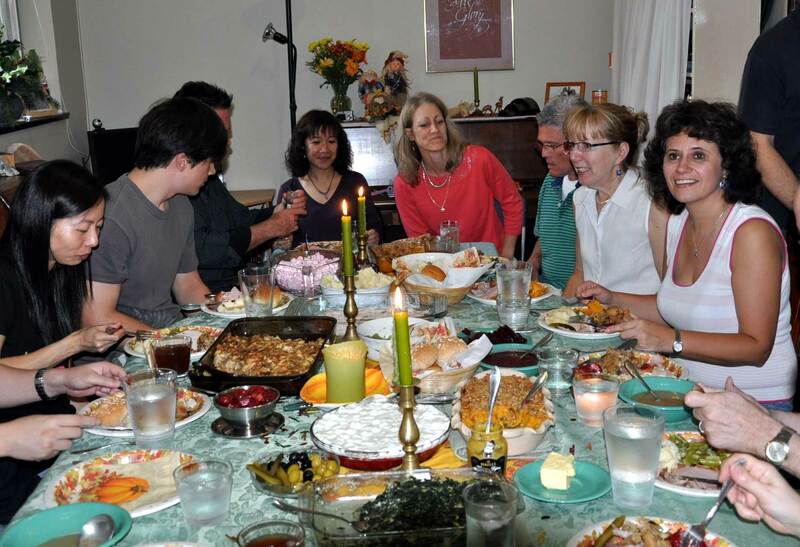 Many have enjoyed a great meal at Thanksgiving with friends and family or attended a delightful concert. If anything, they’re a reminder that we are blessed in so many ways. When we realize that so many people around our world go to bed hungry every day, or that in some places people don’t have the opportunity to enjoy the same freedoms and choices we enjoy every day – we should never take any of these blessings for granted. The sun, the rain and the apple seed. It’s a very simple prayer, with a good reminder for all of us in that very first line: The Lord is good to me and so I thank the Lord. We are thankful for all that God has done for us, thankful for all that He has given to us. If we were to begin the list here, it would go on for pages. And so this weekend, and as we start a new week, we say thank you Lord – for all He has given us, including something as simple as some turkey and Tchaikovsky. China is changing. One doesn’t have to travel very far in China to see evidence of this change in just about every area of life. And while everyone talks about the changes in China’s economy, you can’t ignore the changes impacting the family in China today. 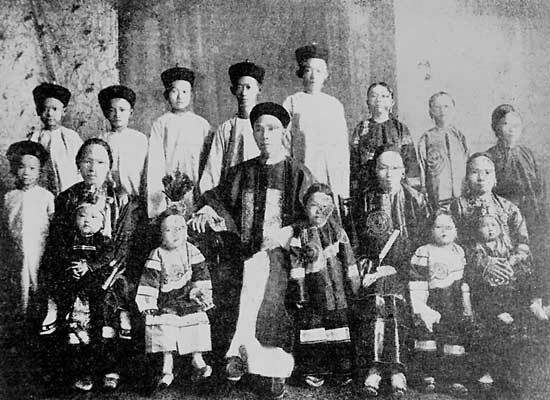 The family has always had a prominent place in Chinese society. But much has happened over the past 30 years to impact the family of today, including the implementation of China’s one-child policy. [四世同堂], where parents and children, and sometimes their grandparents, aunts and uncles all lived together. But that was a long time ago, and today houses that are large enough for 4 generations are either unavailable or unaffordable. 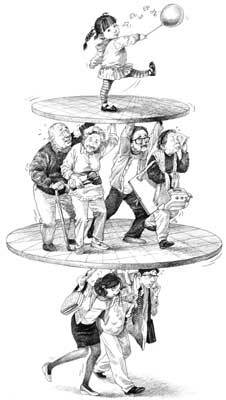 Now there is a new dynamic/phenomenon that most families in China today are learning to deal with the 4-2-1 family. Simply stated, the 4-2-1 family occurs when a married couple who are both the only child of their respective family have a child. The family consists of four grandparents, two parents and one child. With an only child marrying an only child, the 4-2-1 family is quickly becoming the new standard in China today. In 2000, China had 100 million one-child families, and by the end of 2010 researchers estimate that as many as 18 million married couples will be from one-child families. The upside of this new phenomenon is that these new parents are able to get some respite from the daily pressures of parenthood, as the grandparents help care for their grandchild. But these young couples will also be under the heavy pressure of shouldering the responsibility of supporting four seniors and raising at least one child. A recent surveyreported that 99 percent of China’s post-1980’s generation feels they are incompetent when it comes to taking care of their parents. One of the results of this new phenomenon is that the divorce rate in China is increasing rapidly. Over 4,500 couples register for divorce each day in China due to population controls and social and lifestyle changes in the world’s most populous nation. The number of couples splitting up in China has increased by nearly eight percent every year since 2003, when the government simplified regulations on divorce. In 2009, about 1.8 million couples registered for divorce in China, compared to 1.2 million in 2000. This October, government official reported that 848,000 couples had registered for divorce in the first half of 2010, up nearly 10 percent over the same period last year. In light of these new challenges facing the family in China today, who will step forward and provide helpful solutions to these issues? On his recent trip, Joel had opportunity to talk with pastors about some of the issues facing the families in their communities. 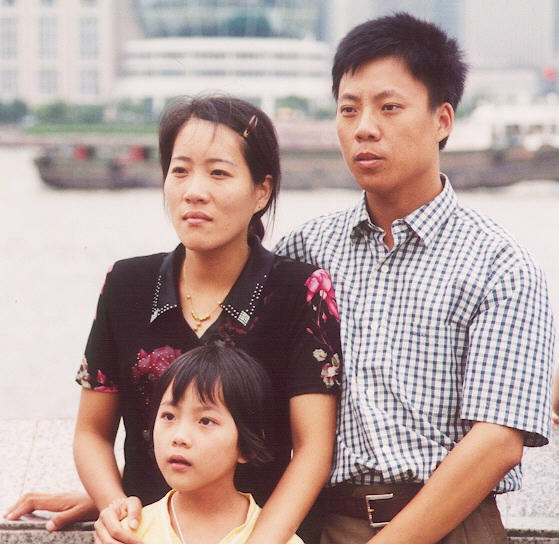 We believe that the Church in China can play a significant role in helping families address these new challenges. God gives guidelines for family living in His Word (the Bible). Genuine faith will always change the heart, and we believe this will have a positive effect on the family. A family that is grounded in the word of God and lives out their faith can have a stabilizing effect on others in their community who are going through tumultuous times. Pray with us for the church in China – that pastors and church leaders would have wisdom in helping families understand and apply God’s principles in their individual homes. They say that a picture is worth a thousand words. Since we haven’t had time to put into words what we did, here are some pictures to show you what our week was like. Debbie was kept busy with middle school students outside of the classroom here in Hong Kong this past week. The Week Without Walls program at International Christian School (ICS) is a week-long off-campus learning experience designed to challenge students physically, emotionally, intellectually, and spiritually, in order to produce a greater awareness of the world around them, their place in the world, and the challenge that Christ brings to it. Debbie was one of three teachers that helped lead middle school students on the ‘Green Extreme’ program – a week of outdoor adventure-based fun – combining outdoor sports skills, environmental awareness and leadership development activities. Joel spent the week traveling in south central China. It was a full and productive time interacting with church leaders in the south central province of Guangxi. He had good times of fellowship and prayer with key pastors – listening to them share their hopes and plans for church development and growth, as well as the challenges they face in giving leadership to their churches. Thank you for standing together with us in prayer. Joel will be traveling in China this week, meeting with key church leaders in a south central province. Pray that he will have a listening ear – not just for their ministry needs, but also for areas of personal need that these leaders may be going through at this time. This is transition time for several of these churches – with younger workers called upon to step up and take leadership of growing and vibrant churches. Pray that these leaders will not grow weary or discouraged as they encounter growing pains in the process of leading their individual churches. Pray that Joel will have wisdom in discerning the most pressing / important needs of the churches that he will visit this week, and that God would provide the resources for all of these needs in His time and in His way. This coming week is unique for International Christian School (ICS) middle school. ”Week Without Walls” provides opportunities for students to learn and to serve in places beyond their school community. For some that means going outside of Hong Kong (Malaysia, Indonesia, Philippines, China) and for others it means either serving or exploring within Hong Kong (serving in ICS kindergarten or elementary, working with refugee children, learning a new skill related to sports or art, exploring animals in different habitats). Debbie will be leading an adventure-based trip (actually run by outdoor specialists, thank goodness!) in Hong Kong. Biking, hiking, climbing, kayaking and camping will be keeping our group of 23 students busy and no doubt exhausted by the end of the week. Pray for the Lord’s guidance and protection on all of these trips. Pray for the teachers, that we would have patience, endurance and wisdom in leading groups of students as well as discernment and sensitivity as we talk with individual students throughout the week. Pray for the students to be open to hear what God wants to say to them, and to take opportunities to serve one another and those they come in contact with. We all know that there is more than one way to say something. Most of us have used an idiom or a favorite saying to help clarify an idea when trying to make a point. Now imagine doing that in another language. Imagine doing that in Chinese. During our time in Asia, language acquisition has meant not only learning the grammar and syntax of the Chinese language, but also some of their idiomatic sayings and proverbs. This week, we are providing an opportunity for you to test your ‘language’ skills. We have put together a list of 10 familiar English sayings, along with Chinese sayings. We have even included the Chinese characters for each of the Chinese sayings / proverbs. As you read through the list, you’ll see that some of the sayings are fairly easy to figure out. Some of them are a little more difficult. It will test your ability to go beyond the literal translation of the saying to understand the concept being expressed. Now imagine doing that in another language. Imagine doing that in Chinese. We’d love to hear from you if you were able to match up all 10 of these proverbs – we could provide you with an opportunity to use your exceptional language skills to use here in Asia! Thank you for your prayer support, particularly for Joel as he travels into China and trusts God to enable him to clearly hear what is being said in each of the conversations he has along the way. 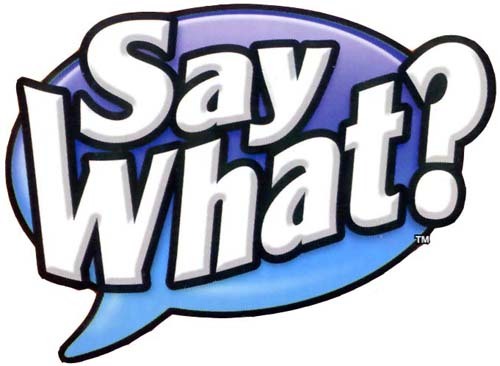 In closing, remember this: “I know you believe you understand what you think I said, but I am not sure you realize that what you heard is not what I meant.” Now imagine hearing that in another language. Imagine hearing that in Chinese.